Cisco says that it will "grow, motivate and, evolve" its channel partners as a way of turbo-boosting the adoption of virtualized data centers. 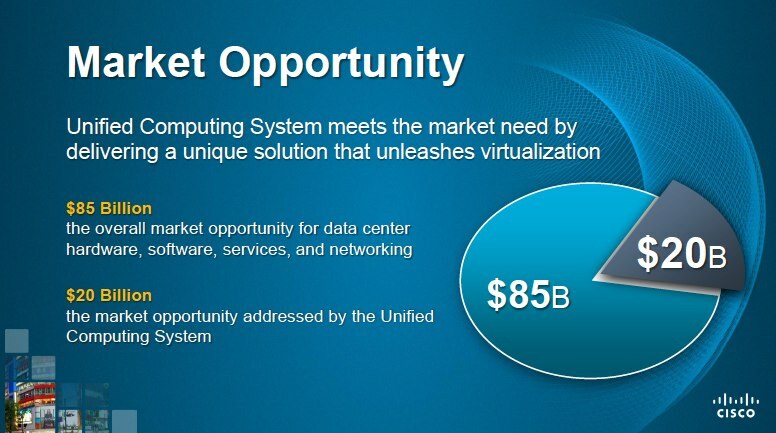 According to ZDNet's Sam Diaz, announcements like these continue to elevate Cisco's presence in the data center game. This is a guest post from Sam Diaz of TechRepublic's sister site ZDNet. You can follow Sam on his ZDNet blog Between the Lines, or subscribe to the RSS feed. Announcements like these continue to elevate Cisco's presence in the data center game, just a few months after the company rocked the industry with the announcement of its Unified Computing System. Cisco's trump card in the data center wars - its history as a networking company - has caused it to be a major disruptor of this space. Its architecture integrates the networking equipment into the data center, reducing all of those wires and cables that once connected boxes into one single cable. In a Goldman Sachs survey released last month, 18 percent of Fortune 100 IT executives surveyed said they are planning to evaluate Cisco's UCS in the next 12 months. Two-thirds of the IT execs said that they expect Cisco have a larger server presence over the next 2 to 3 years. The company's IT certifications initiative is targeted at customers and partners with job roles such as data center architect, data center builder, and data center technical operations professional, the company said. 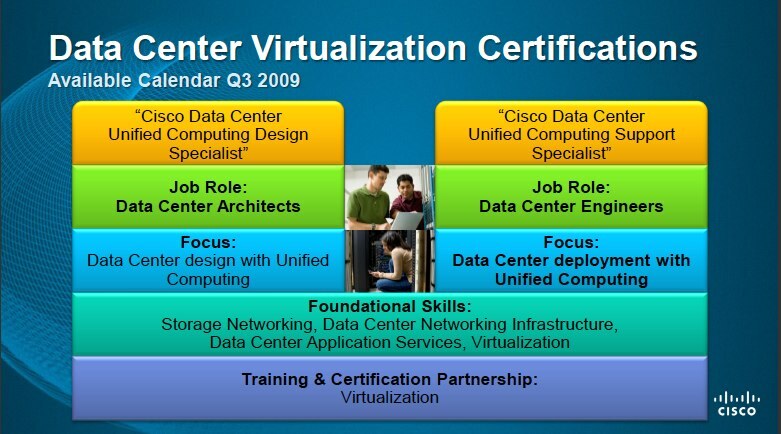 The certifications are intended to validate design and support expertise in the various technologies used in Cisco's architecture. The company also announced a new Data Center Channel Solutions Program, which is focused on standardizing designs that support products from other data center vendors, including EMC, Microsoft, NetApp, Red Hat, and VMware.